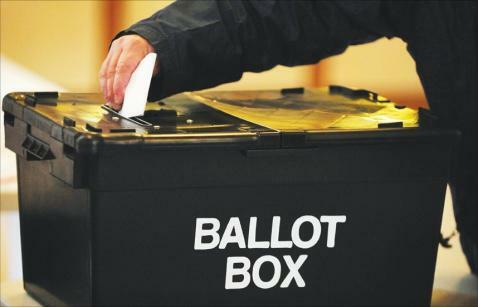 The British Gazette » Register of Electors: A means of protest. The form also seeks to encourage you to register via the internet or telephone or even by text message as they don’t want you to send the form back through the post using the second class reply paid envelope provided to save costs. The British Gazette however suggests that you send the form back via the post using the envelope provided but attach a letter advising them of the fact that lawful government has ceased in this country and as MISPRISON OF TREASON is an offence under the Common Law of England and Wales, you are under a lawful duty to report all cases of treason. The text of the letter is below. Please feel free to copy and paste. Please find enclosed the completed form duly signed and dated. As “Misprision of Treason” is an offence under the common law of England and Wales I am clearly under a lawful duty to disclose to you the above and formerly report to you that TREASON appears to have taken place and further to draw your attention to the fact that the aforementioned advice (It’s your vote – use it don’t lose it) does not contain a rider stating that a person who wishes to exercise the franchise should only vote for candidates who support lawful constitutional government in the UK. Please advise me of what action you are going to take. It is my understanding that statutes (the lowest form of law) require consent. If i do not consent to be forced to ‘legally’ complete any form, then that is my right surely? Legal is not lawful, and nobody can believe recent Westminster administrations have any claim to be lawful. Does that imply failure to take action, according to Legem Terrae’ renders both local and national elections invalid? Under what authority did the government’s employee, Lord Judge, remove the right to trial by jury – an act which in itself is a crime according to our British Constitution?